Meeting your spirit guide and guardian can be a very emotional and moving experience. 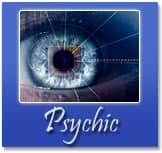 It can be a milestone in your psychic development. You will realize that you are not walking lifes path alone. Everyone has a guide and guardian. Meeting and working with our guides is a very different and personal experience for each of us.